Cleveland’s decision to start Trevor Bauer in Game 1 of the ALDS against the Yankees tonight and hold ace Corey Kluber for Game 2 was slightly unorthodox, but the logic behind it was sound: They knew that their opponent would have just used up their best starting pitcher in the wild card game, meaning that they wouldn’t need to prepare for an ace-versus-ace matchup, and holding Kluber until Game 2 would set him up to pitch a potential winner-take-all Game 5. They just needed Bauer—who’s been cruising for the past several months, and has in fact emerged as one of baseball’s better starters in the second half—to make sure that it paid off in Game 1. Miller, who returned from a knee injury just a few weeks ago, struck out three, and manager Terry Francona handed the ball to closer Cody Allen with four outs to go. Allen, too, took care of things quickly—tying up a 4-0 Cleveland victory that ended with 14 strikeouts and just three hits for the Yankees. The conversation around this first week of the postseason so far has been heavy on bullpen management; for a taste, just search Twitter for “bullpenning,” which MLB Network host Brian Kenny has been pushing as a hashtag promoting progressive reliever usage. (“Progressive” being a relative term.) But there are a couple of meaningful caveats to note there: first, that half the games we’ve seen so far have been wild card contests with winner-take-all stakes that obviously shift priorities, and second, that yanking a starter who’s having a disastrous night isn’t so much forward-thinking relief strategy as it is simple damage control. What Francona did tonight, though—which is pretty in line with how he’s managed his bullpen throughout the year—really was genuinely smart bullpen use. 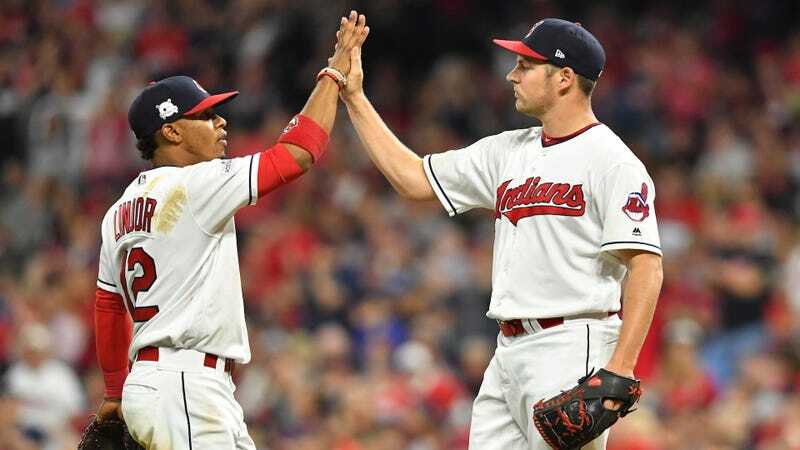 There was the foresight to have someone warming at Bauer’s first sign of trouble on his third time through the order, the fact that he was cruising be damned, followed by the willingness to let both Miller and Allen work in multiple innings. None of this is exceptional for Francona, of course, as anyone who’s watched Cleveland this year realizes. But it’s a reminder of how well-managed they are, and of what worked in their run to the World Series last year—this very relief management, which played a big role in sparking baseball’s last round of “bullpen revolution” dialogue.